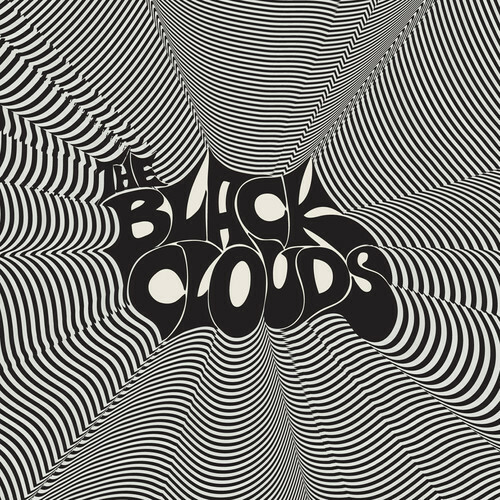 The Black Clouds may have only formed in 2004, and they aren’t from Seattle, but the grunge influence is alive and well in their efforts as is evident on their newest release, Better Days. I almost can’t listen to this album comfortably without wearing a flannel and some ripped jeans but I must manage because those clothes are in the wash… in 1992. Better Days, for the most part, is so Nirvana that Cobain and company would have likely been surprised that it wasn’t actually them, but as there’s no baby wieners or songs about moist vaginas, we’re pretty sure that The Black Clouds are a little more refined in their delivery. With a truly DIY approach, the production is impressive and even though it’s difficult to not endlessly refer to Nirvana when it comes to comparisons, I’ll make this my final one: Better Days is like a modern Bleach, although a little more polished with a little less chaos. With distorted guitars aplenty and catchy, formulaic verse/chorus structure, this album is very accessible to any fan of 90s grunge or even modern rock bands like 3 Doors Down and Foo Fighters (coincidence?). Songs like “No Reason” (90k+ listens on Soundcloud) and “Again” are exactly what any grunge fan would want in a song while others like “Defective Mind” hold that theme too but also make you bang your head at least a little. You can’t fight it. At the mid point in the album, “Fray” is a solid offering and a nice change of pace as there’s little variety found on Better Days. Taking things down a level from the majority of what’s offered on the rest of the album, “Fray” is somewhat more of a ballad compared to the grunge rock elements in the other 12 tracks. For the most part, Better Days is a solid effort from this New Jersey four-piece, relying on nostalgia and obvious influences to guide their sound. Some tracks weigh the effort down, but luckily some stand-out offerings manage to keep it afloat and a head above a lot of the mediocrity in the genre. The Black Clouds are obviously making the music they love which is commendable itself. It doesn’t feel too forced and it’s an easy listen at just 38 minutes shared between its 13 tracks but there’s nothing outright mind-blowing here – whether that’s what they were going for, I don’t know. Any fan that’s held on to their grunge days will certainly get a kick out of Better Days, but for those that left their love for the genre in storage with their Walkman? They’ll probably listen through then waste the rest of the day watching old Nirvana and Pearl Jam videos on YouTube. Okay, that was the last Nirvana reference, I promise.